If there’s one thing that Above & Beyond Giving Up The Day Job left us hoping for, it’s that we can only hope that Jono, Tony, and Paavo decide to continue their acoustic tradition with a third album and tour. 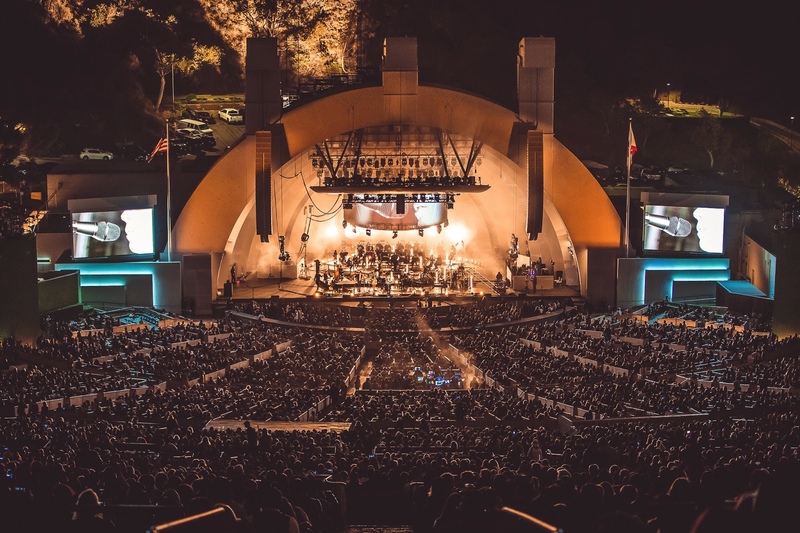 Shadowing the iconic, emotional trio ahead of their Above & Beyond Acoustic show at The Hollywood Bowl, Giving Up The Day Job divulges deeper into the guys’ personal lives and the road to their milestone Los Angeles performance. One can only hope that Above & Beyond will transform some of the tracks from their latest studio album, Common Ground, into acoustic renditions. A&B can also dig through the crates for additional acoustic pieces from their former albums: We Are All We Need, Group Therapy, Tri-State, and their OceanLab LP, Sirens Of The Sea. Above & Beyond’s 2018 album, Common Ground, debuted at number one on the Billboard Top Dance/Electronic Albums chart – AND, number three on the overall Billboard 200 albums chart, which is a huge feat for A&B – and dance music, as a whole. Giving Up The Day Job begins with just as much emotion as an Above & Beyond exudes. Documenting A&B’s journey to their biggest Acoustic showcase to date, the film starts off with footage of the group, six weeks before their Hollywood Bowl performance. Different from anything they’ve done before—over their last decade in the spotlight—they have now been living like a band, and touring like a band. Jono, Tony, and Pavvo are not only involved in every aspect of their live show, but absorbed in the creative process. The acoustic versions are different from their originals, re-arranged and re-imagined, but still pack just as much—if not more—punch. What made this Acoustic tour stop any different from the others? Perhaps, it has something to do with the fact that the venue capacity is 17,500. The first performance from The Hollywood Bowl Acoustic show is the euphoric “On My Way To Heaven” – with Cobi on vocals. The ensemble progresses into “Miracle,” an OceanLab favorite, which is performed with Justine Suissa. Giving Up The Day Job takes an artistically risky approach on “Miracle”; using various shots and angles of Justine without showing any close-ups of her face. Zoe Johnston lit up the entire crowd—and potentially the entire West Coast—as her angelic vocals soared on “We’re All We Need,” the title track from A&B’s 2015 LP, We Are All We Need. The Hollywood Bowl, Madison Square Garden, Barclays Center, The Gorge, and The Greek Theatre – where will Above & Beyond go from here? The only way is up.